SHARE Add a personal touch to your Accordion Folded Hand Fans with this sleek personalized fan sticker. 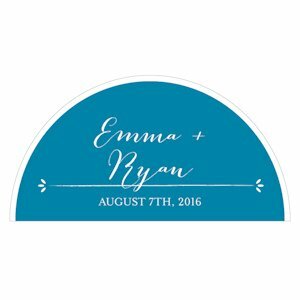 An ideal addition to your favors, choose from 5 vibrant colors to coordinate with your wedding day decorations. Each matte sticker measures 1.625" x 3.125". 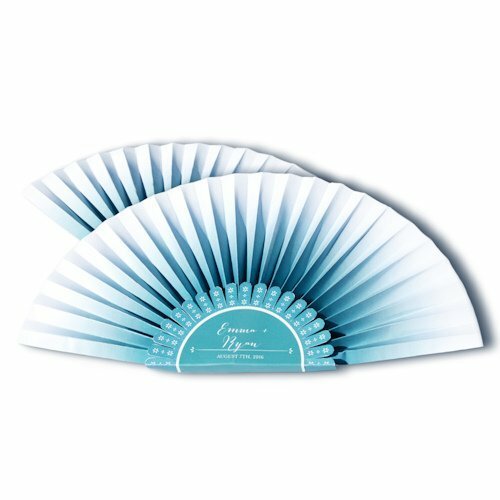 Look for our accordion fans with item number 9383 - a great favor for your wedding or bridal shower.